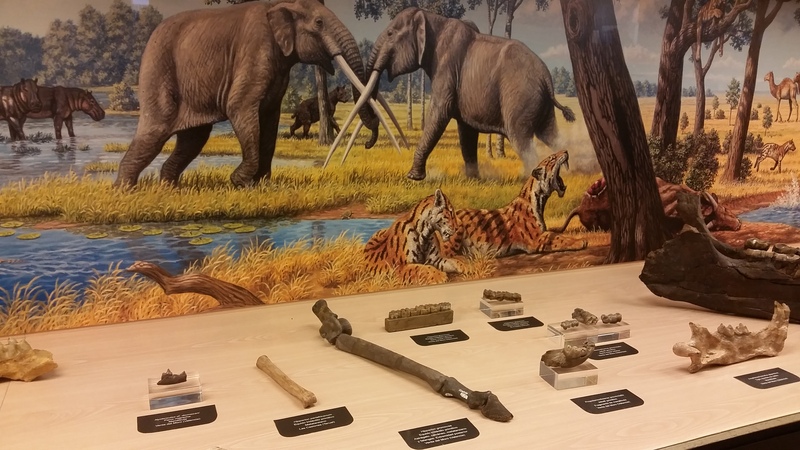 Sites just a short drive from Madrid have revealed an abundance of Miocene fossils showing that this part of Spain was once a dry, savannah-like ecosystem populated by ancient elephants, carnivorans, hippos, and a recently described giraffid! 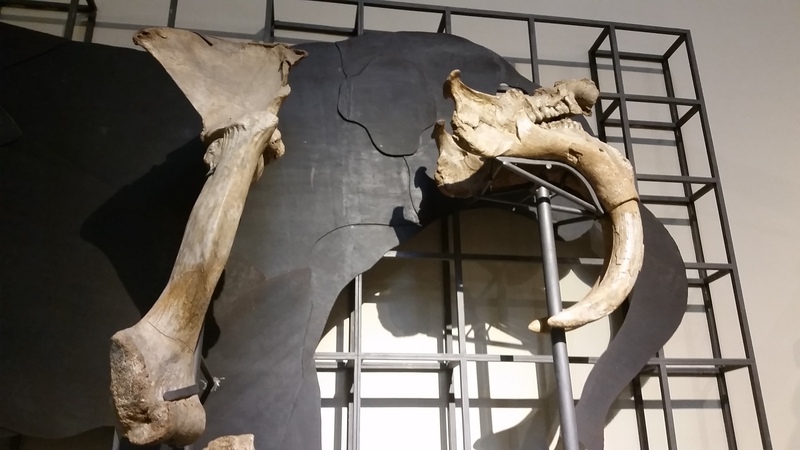 Madrid’s proximity to Miocene-aged outcrops means there’s a lot of species on display that I don’t get to see very often in Canada, like this Deinotherium! It’s hard not to love those awesome downturned tusks on this weird proboscidean. 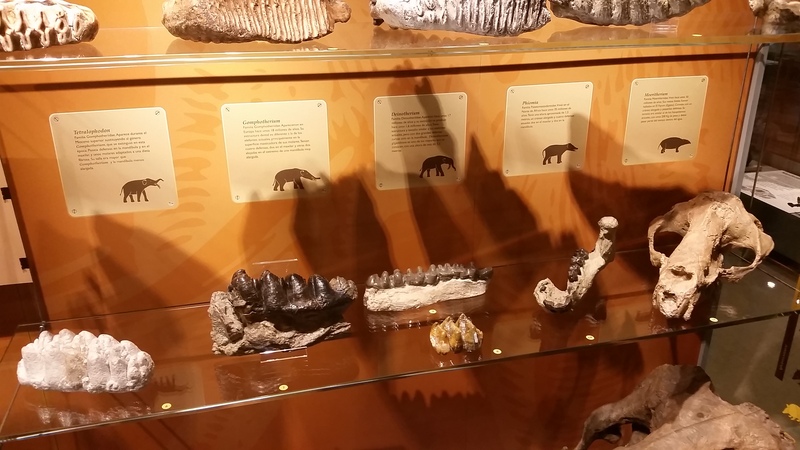 There’s also a really stellar display of the incredible diversity of proboscidean teeth. 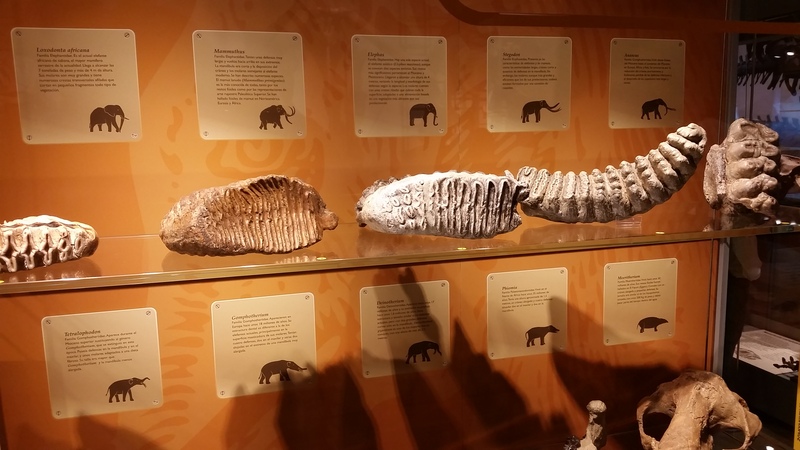 Along the top we’ve got (from right to left) an African elephant, mammoth, Asian elephant, Stegodon, and Anancus (a straight-tusked proboscidean kind of like a gomphothere). And along the bottom, we’ve got Tetralophodon (another anancid), Gomphotherium, Deinotherium, Phiomia (a more basal proboscidean), and Moeritherium (one of the earliest proboscideans and which looked more like a tapir than later elephants). 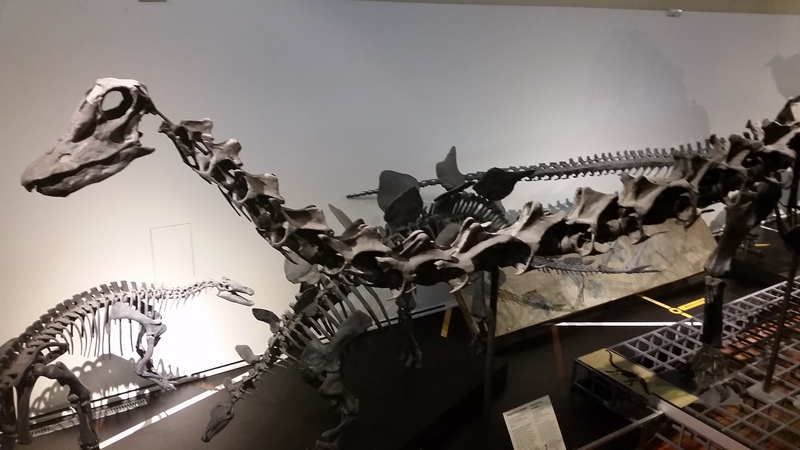 The Museo de Ciencias Naturales also has one of the Carnegie Diplodocus casts, and a pretty nice selection of casts of classic Jurassic and Cretaceous dinosaurs. 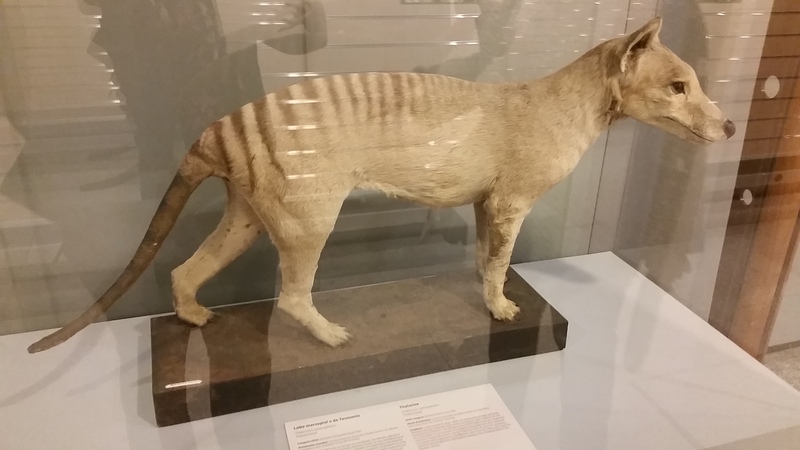 A couple of nice finds elsewhere in the museum were of more recently extinct species, like this thylacine – a real skin, not a reconstruction. 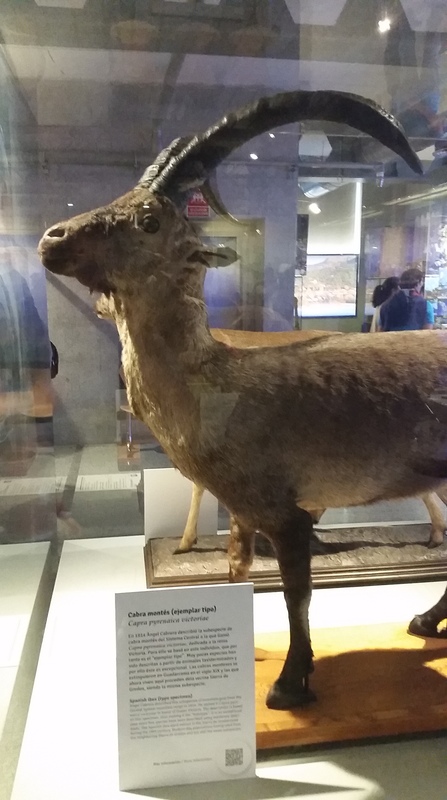 Spanish ibex are interesting animals for those of us interested in the ethics and science of de-extinction. This is Capra pyrenaica victoriae, the Western Spanish Ibex, but a related subspecies, C. pyrenaica pyrenaica went extinct in 2000. Tissues collected from the last surviving female in 1999 were successfully cloned in 2009. Sadly, the clone lived for only a few minutes after birth, but it was one of the first and best examples of resurrecting an extinct subspecies to date. Thanks again to Angelica for inviting me to present at Dinosaurios 2.0 and hosting me while I was in Spain!